Storm and water damage affects not only the structure of your house but also your belongings. SERVPRO of Redmond understands that your home is more than a structure; your family’s furniture, clothing, keepsakes, and other belongings help transform a house into a home. 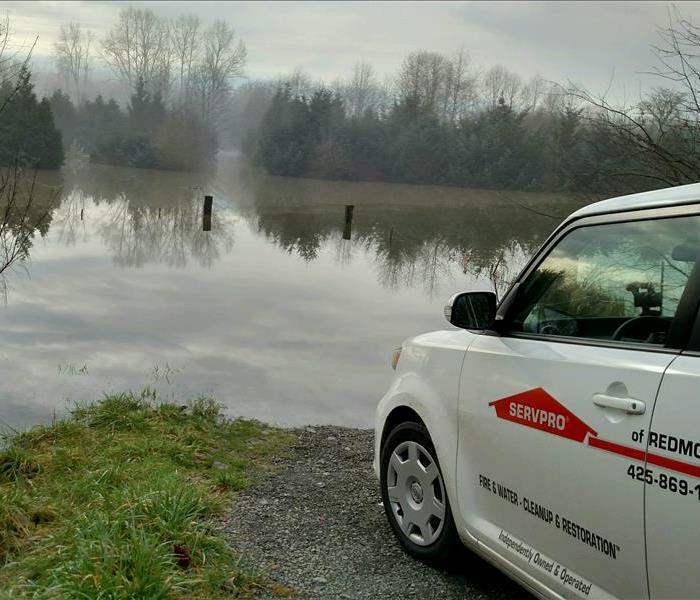 The SERVPRO marketing vehicle in front of a now underwater street.